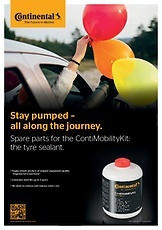 The tire sealant is pumped by the Continental compressor into the tire, enabling the onward journey to the nearest garage or tire service (max. 80 km/h and max. 200 km). It seals car tire punctures caused by nails or similar objects with a diameter of up to 6 mm. 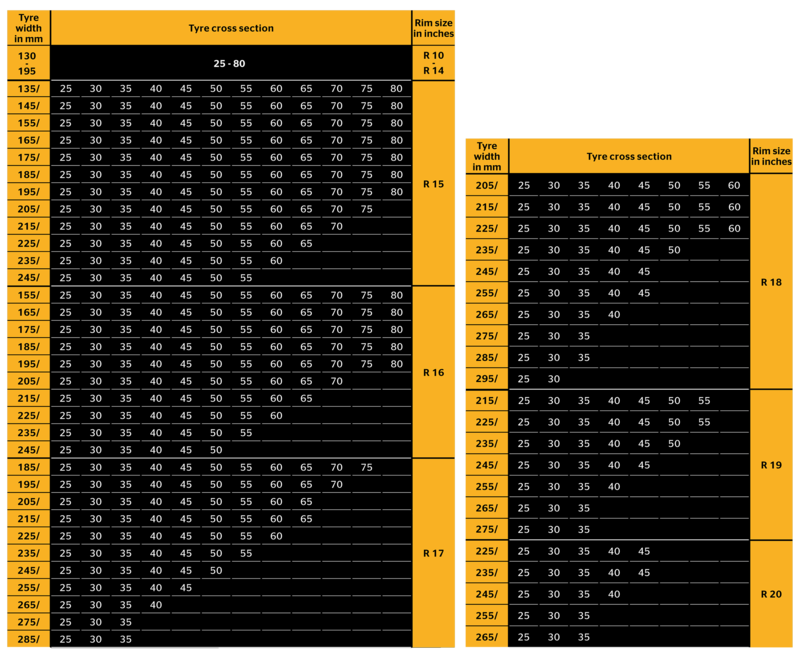 The product can be used for the tire dimensions which are shown in the following chart and with a required tire pressure of up to 300 kPa (3 bar, 43 psi). 450 ml Replacement bottles can be used as a replacement for ContiMobilityKit’s 300 ml, 450 ml and 560 ml OE bottles (560 ml OE bottle depending on tire dimensions - please see chart).